The General Hand Tools 77 Automatic Center Punch is a product that you can rely on throughout your workday, made by a company you can trust. This product is easy to use and designed to be durable and efficient. It's a 95° day and you are walking through the parking lot of local department store. You peering your head back and forth looking around. Just then you notice there is a baby inside of a parked car. The car is not running and the windows are rolled up. You look and the baby is still conscious but sweating profusely. What do you do? You or someone else needs to immediately call 911. If you can manage to get the baby out of the car, paramedics or fire department personnel will need to attend to child for injury. You need to find something to break the window. Believe it or not, car windows are EXTREMELY hard to break. Movies where you see someone smash a window through the center with a tire iron in one fatal swing is typically not accurate. There is an effective way of breaking car window glass but it requires a technique. A car window's weakest point is at the bottom right corner of the window (See Figure 1 below). Everyone seems to believe that it would be the center of the window where it's furthest away from any type of support but that's not the case. There are some great tools that you can keep in your car or on you that will assist you in situations like this. The first is the Astro Pneumatic 3088 Emergency Car Window Breaker. This single handed tool features a steel window escape hammer that quickly deploys at the flip of a switch. The Astro Pneumatic 3088 also features a recessed blade to cut a seatbelt if needed. If you are looking for something a little smaller and simpler, you can purchase a spring activated center punch. These are typically used for punching, marking and staking most metals. Just put it at the bottom right corner of window and push down on the top of the center punch. 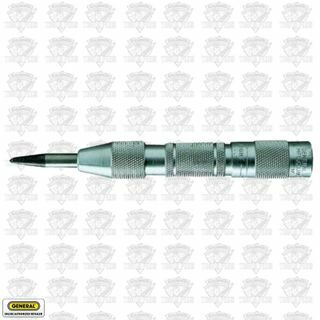 The General 77 Automatic Center Punch is great choice because it's more powerful than the $4 or $5 options out there and will give you far better success in a dire situation. Keep in mind that a baby or toddler's body overheats 3-5 times faster than an adult and children have died from heatstroke with outside temps as low as 60 degrees. Also remember that 80% of the increase in temperature happens in the first 10 minutes of the car sitting and cracking windows does not slow the heating process. If you see this, be prepared. Consider either the Astro 3088 Car Emergency Car Window Breaker or the General 77 Automatic Center Punch as a way to help out in this situation. Nothing is worst than witnessing a preventable child fatality.